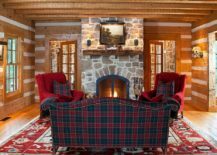 Plaid – the name evokes images of a cozy past, comfortable Christmas evenings and a rustic, woodsy cabin filled with wonder and timeless charm. 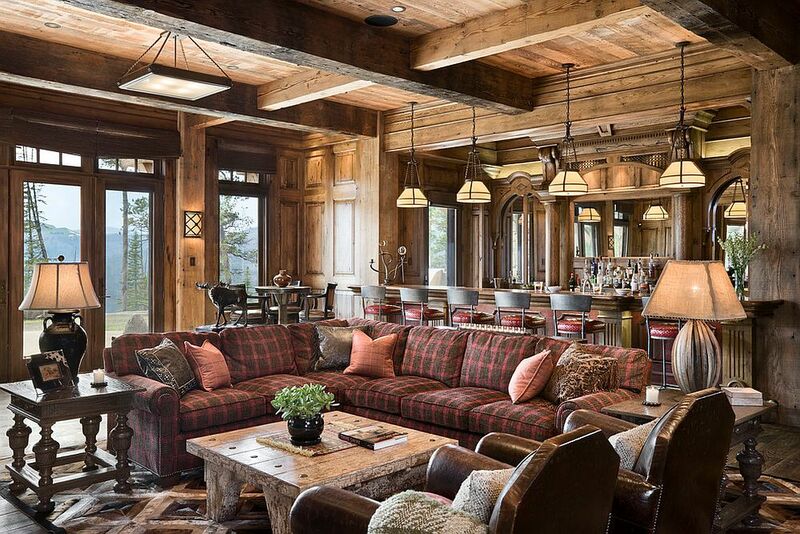 Admittedly, it is not a pattern for everyone. 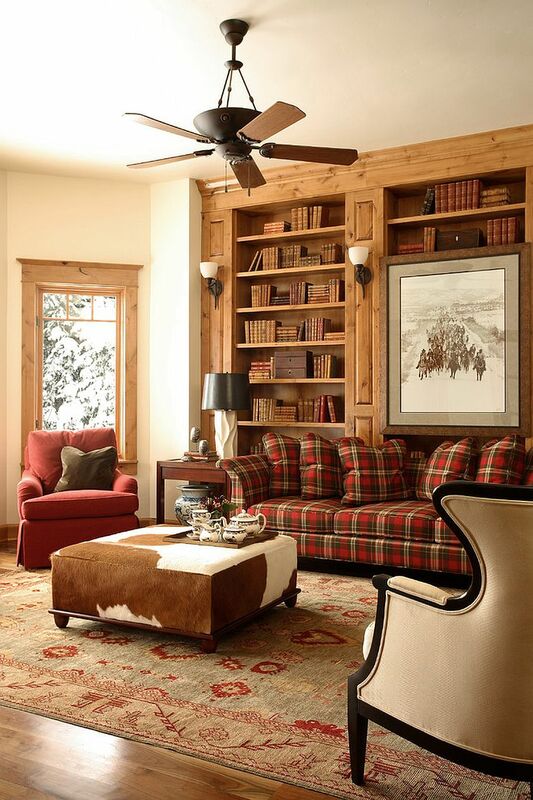 Some find it far too dated and stoic. 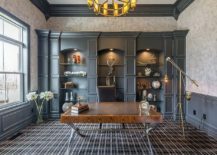 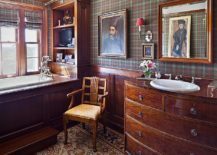 But the last few years have seen Plaid making a comeback of sorts along with other rustic, farmhouse and industrial elements. 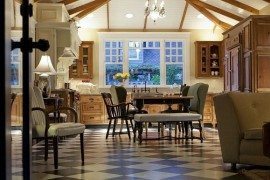 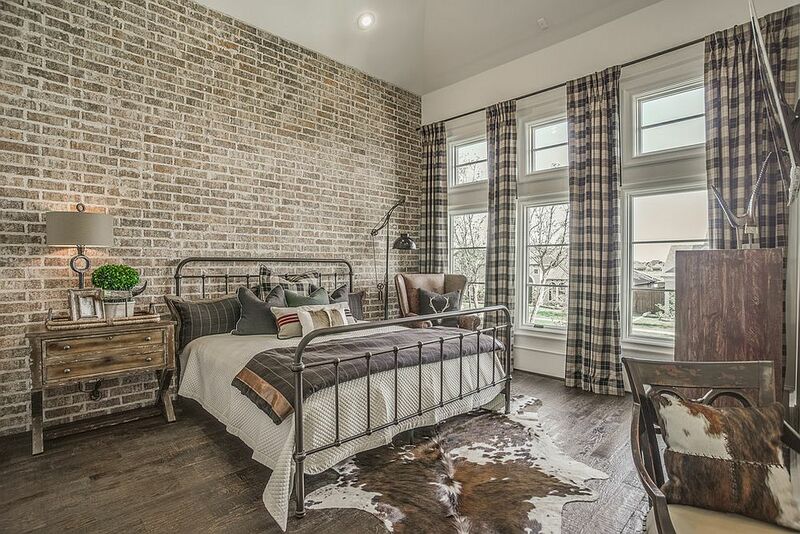 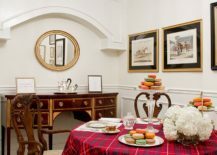 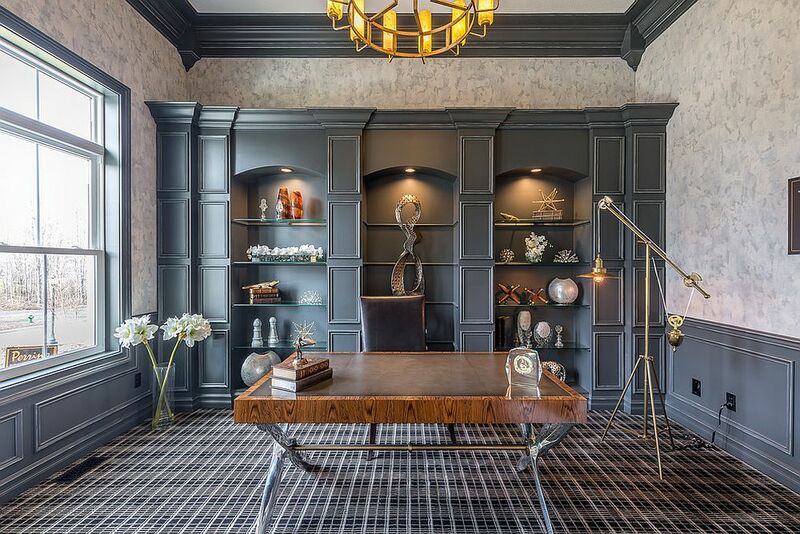 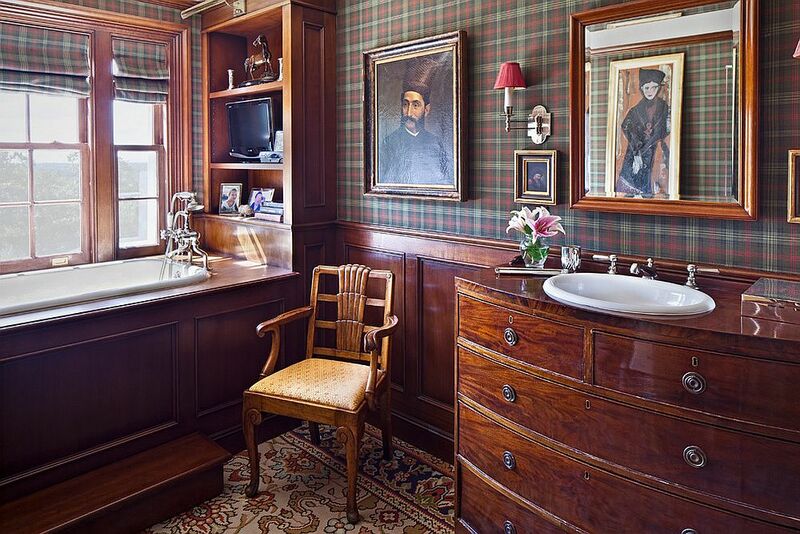 Obviously, plaid offers a wonderful way to add pattern and a hint of traditional touch to contemporary spaces filled with neutral hues and a ‘more of the same’ design approach. 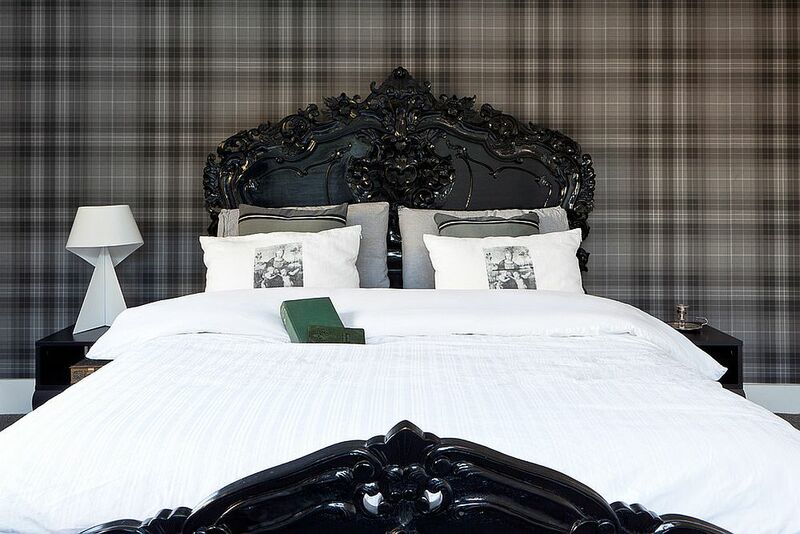 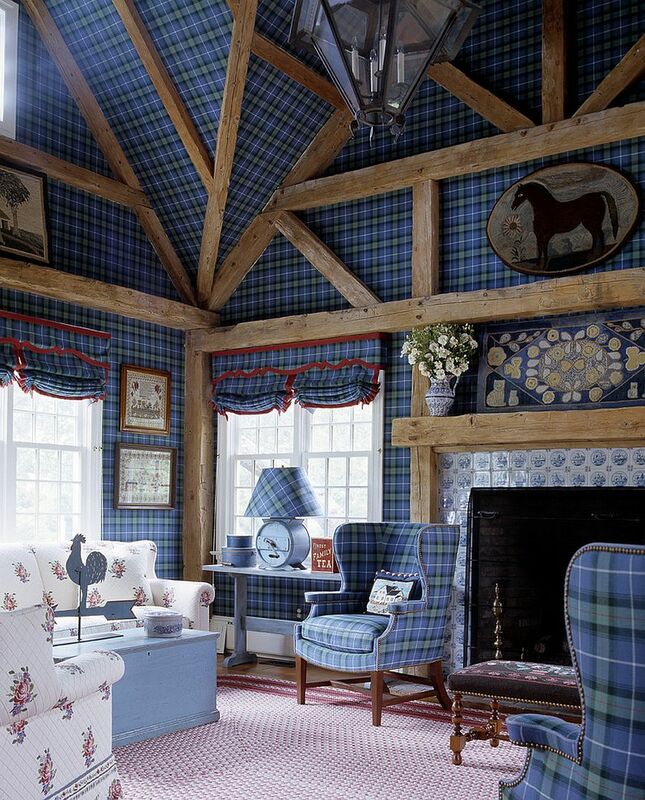 With that in mind, today we decided to turn our attention to all things plaid and how you can add it to your own home. 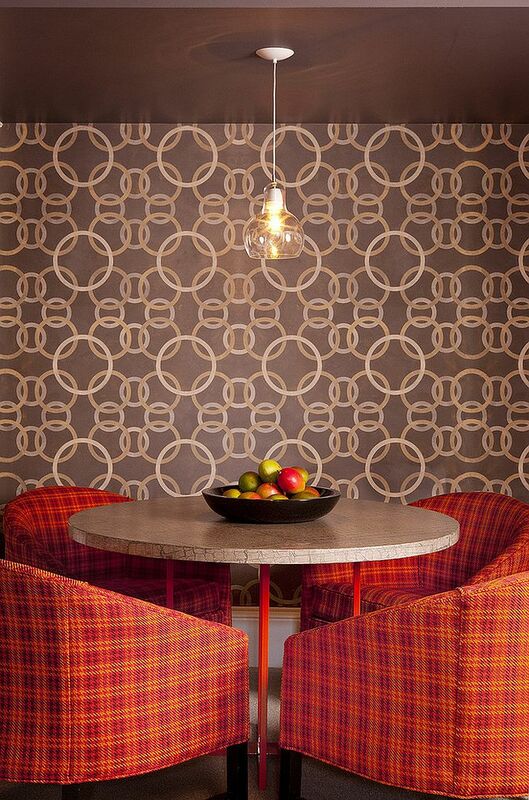 Wallpaper that Rolls Back Time! 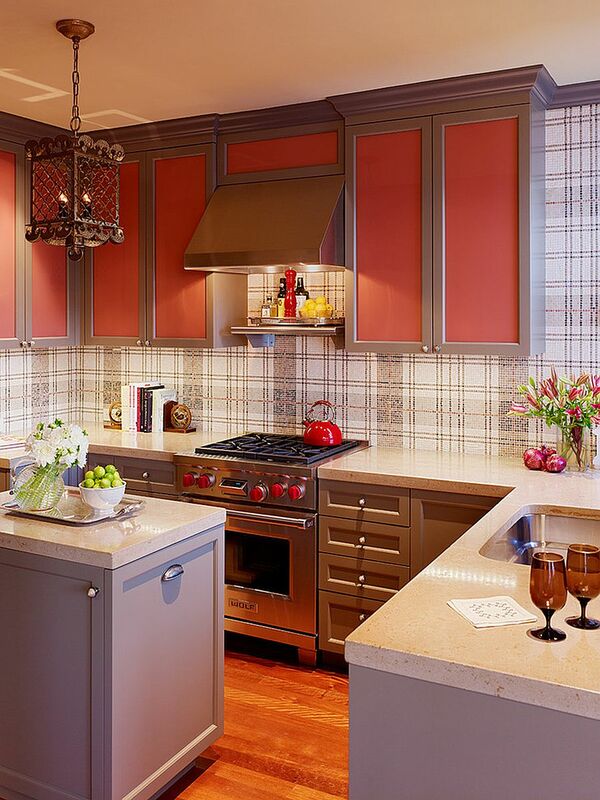 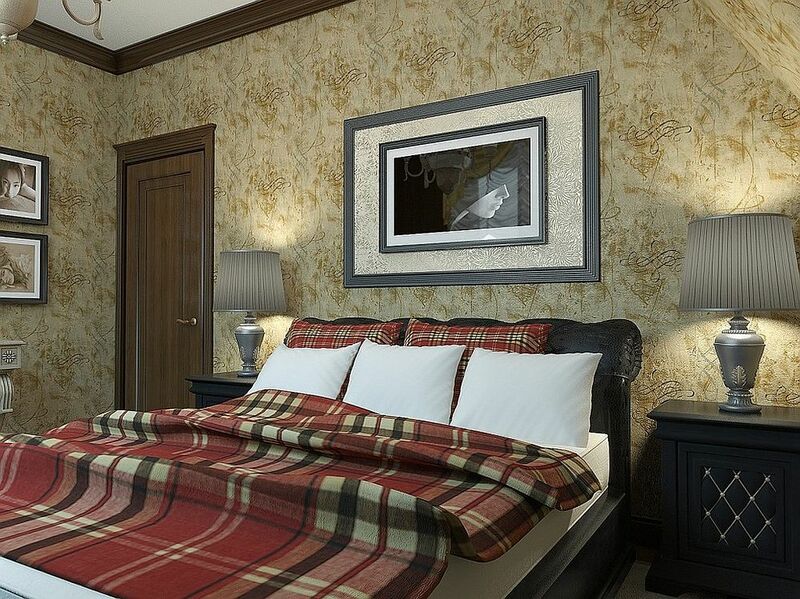 Both plaid and wallpaper were shunned in the 90’s in favor of polished modern finishes in beige, white and brown. 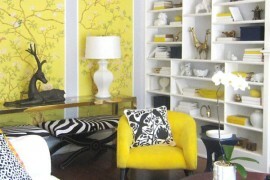 Times have changed once again and the decorating world has come full circle! 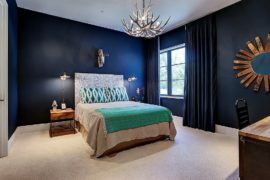 Wallpaper is once again trendy and most homeowners want wallpaper with pattern that blends into the color scheme of the room. 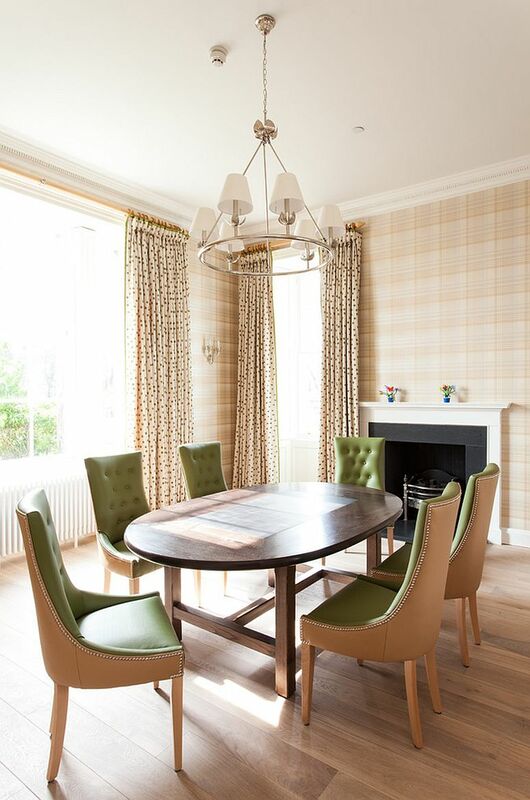 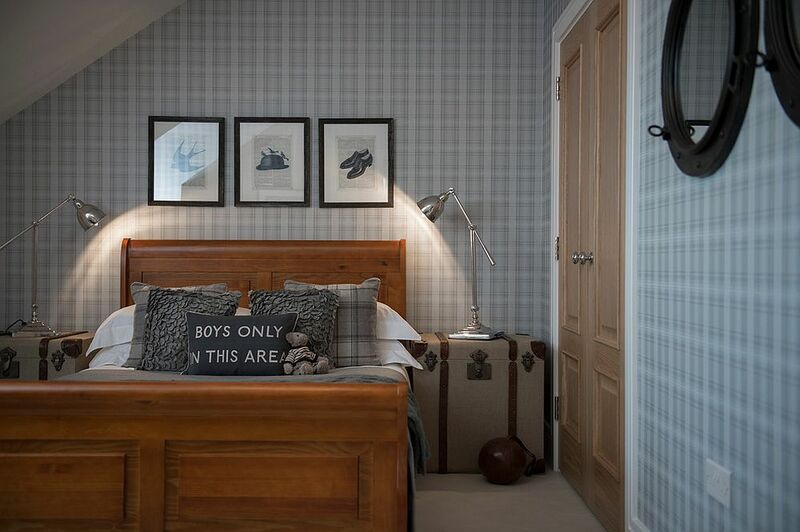 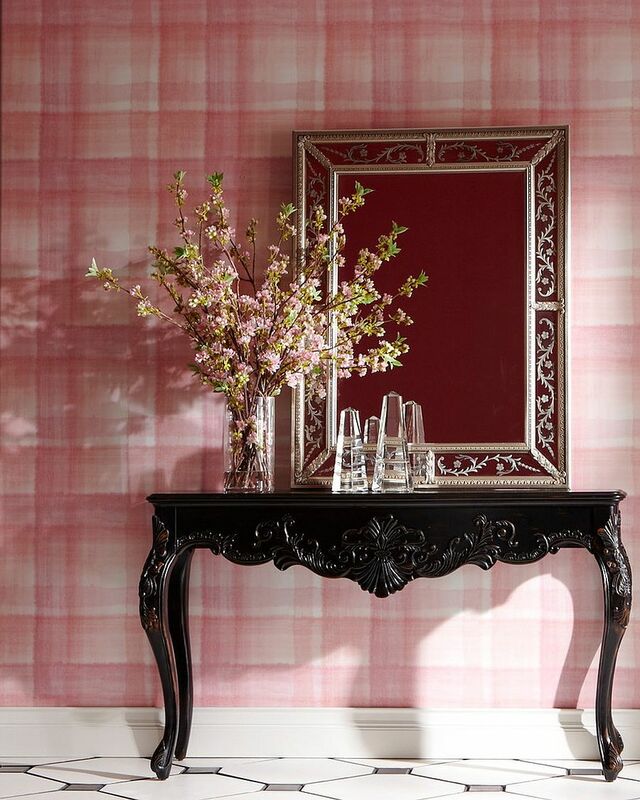 Plaid wallpaper offers precisely that with extra panache and a hint of timelessness. 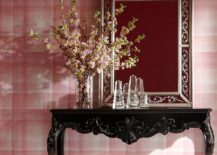 It is easy to incorporate this chic wallpaper into your decorating scheme and it can either shape a neutral backdrop with pattern or one with bright color and traditional charm. 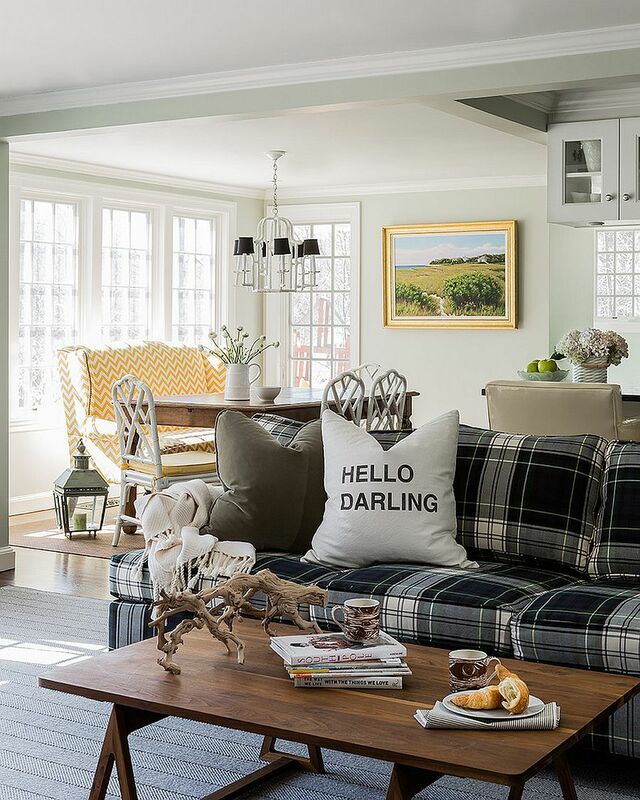 A couch in plaid fabric is much rarer than walls with plaid pattern on them and it does take plenty of commitment to the pattern to really want one of these. 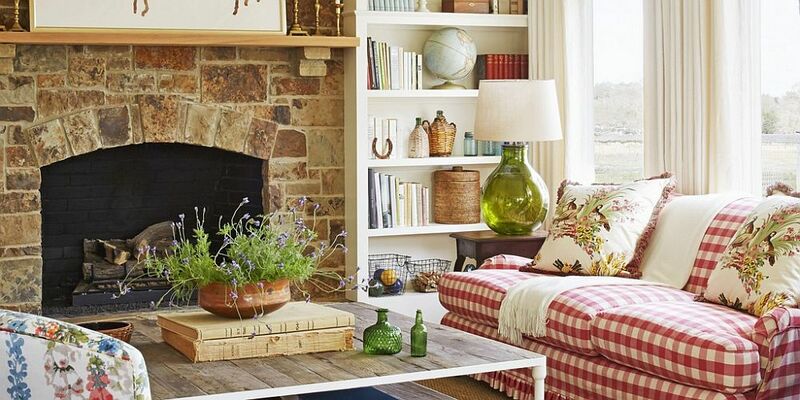 These sofas look especially good in rustic, farmhouse, woodsy cabin style and traditional living and family rooms. 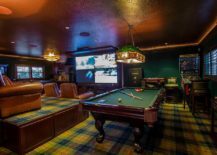 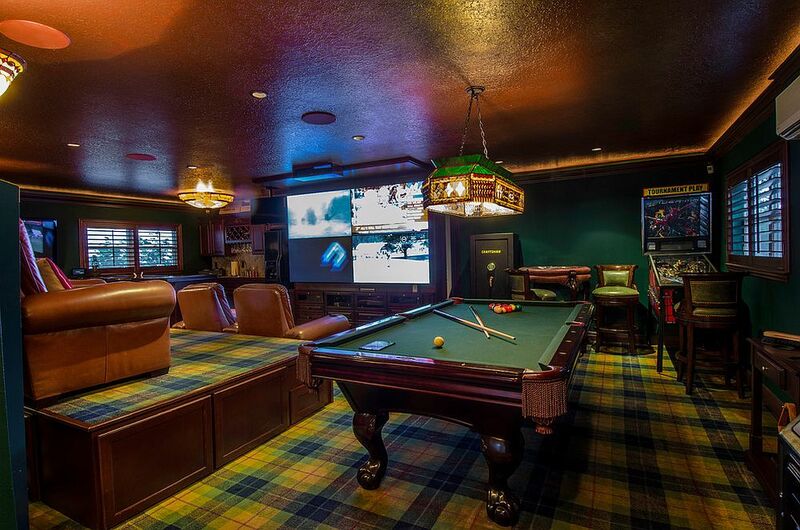 They also feel apt in the classic man cave with a masculine backdrop and a sofa in red plaid anchors the room beautifully. 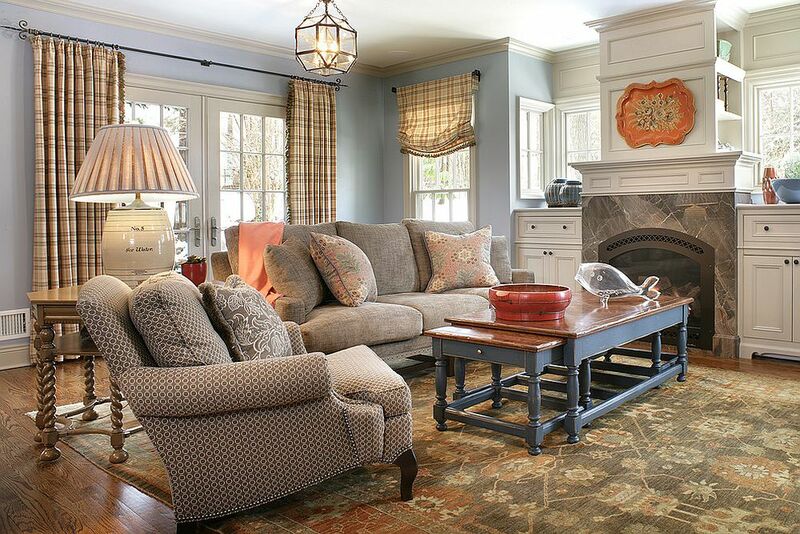 Plaid carpet might seem like an overwhelming addition when you have a room already filled with color and pattern. 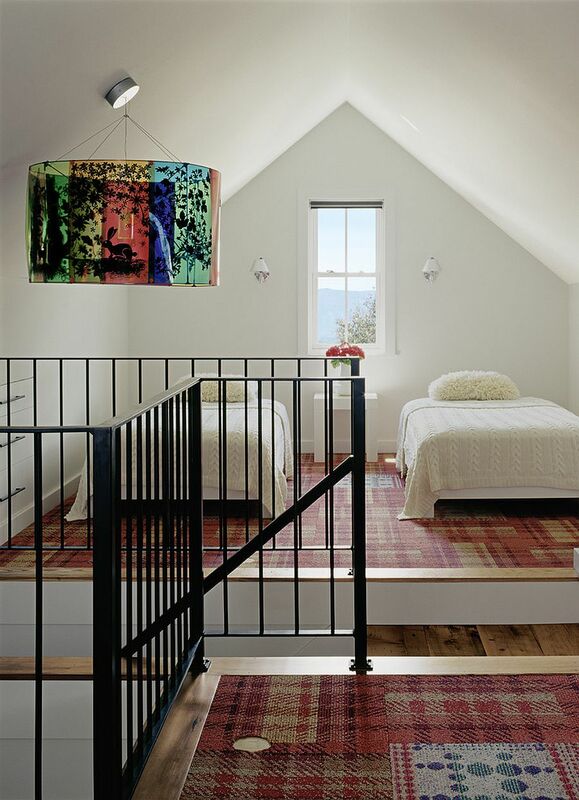 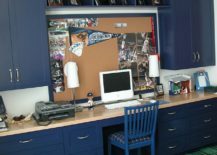 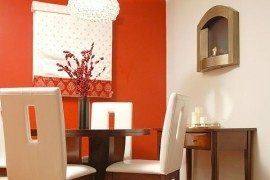 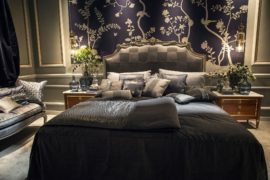 But in the contemporary bedroom, kids’ room or living area with little color, this becomes a smart and engaging choice. 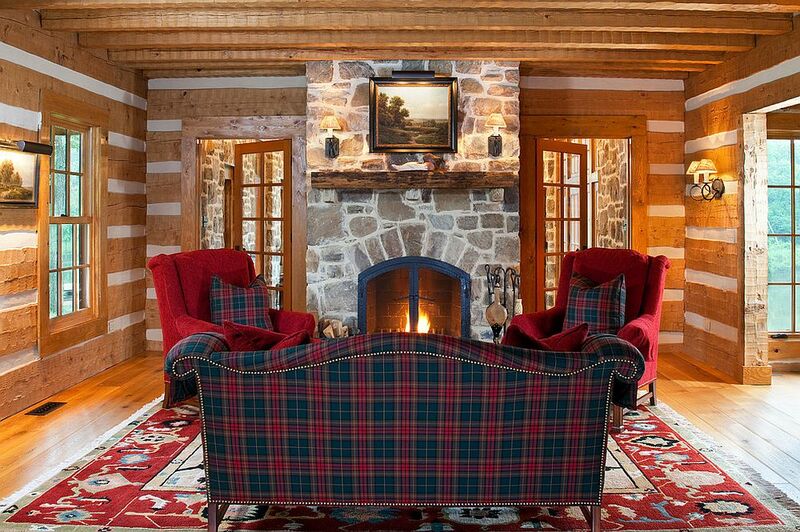 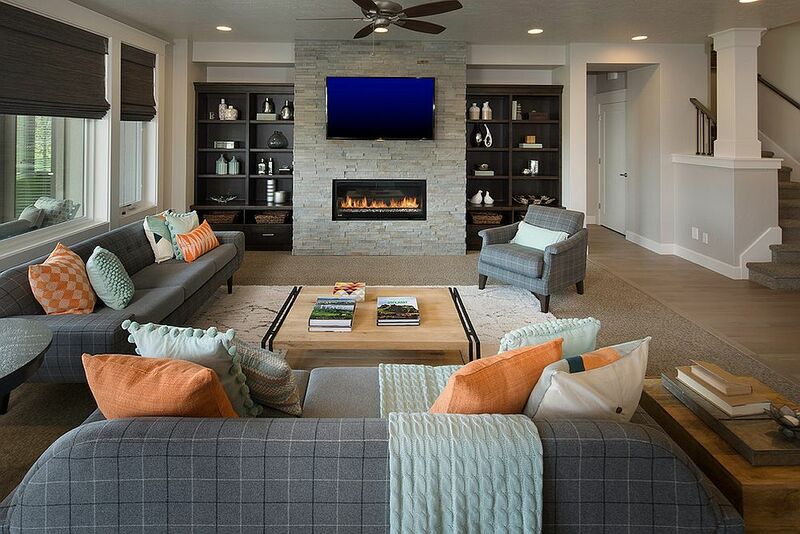 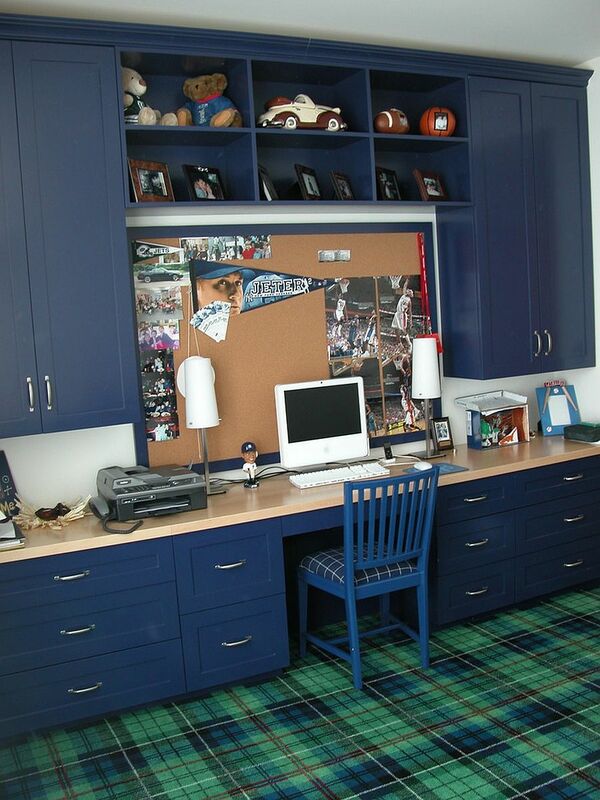 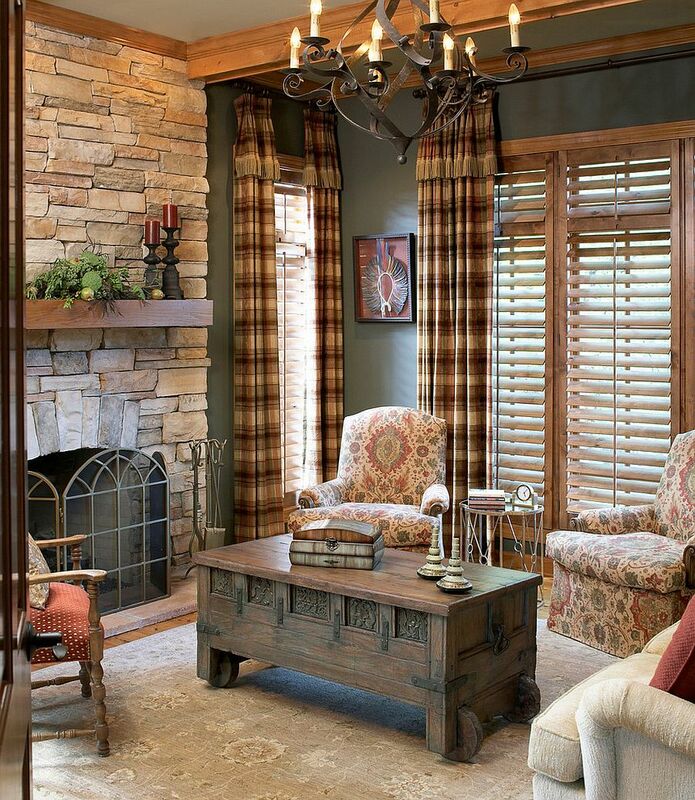 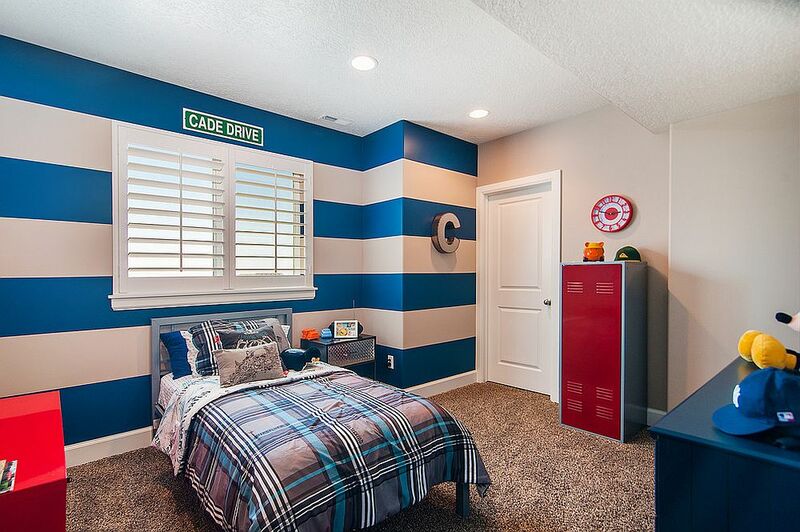 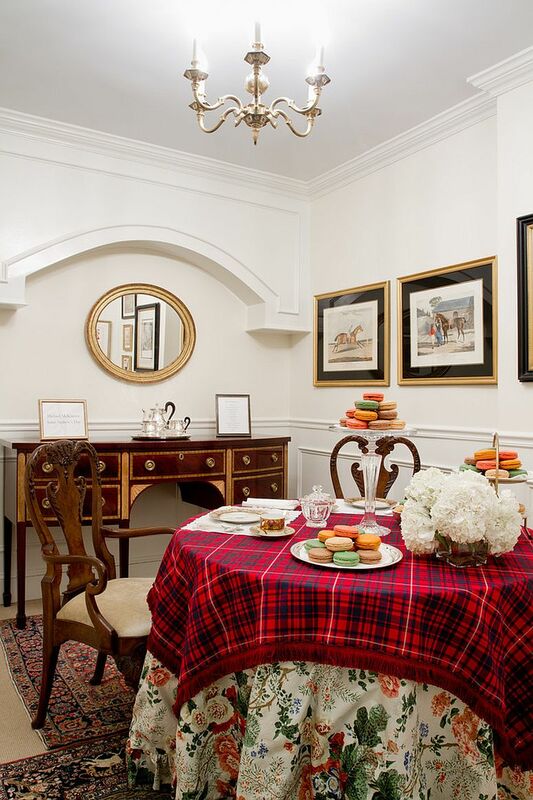 You can use the color of the plaid carpet to bring together different accents in the room. 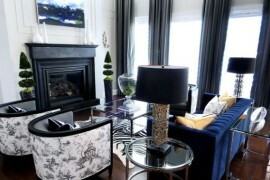 This gives the interior a more curated and well-knit appeal without sacrificing on pattern or that ‘wow factor’. 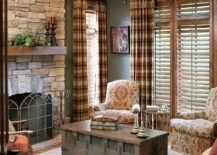 Of all things that we have discussed so far, it is probably the plaid curtains that are the most perpetually popular choice among homeowners. 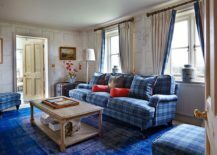 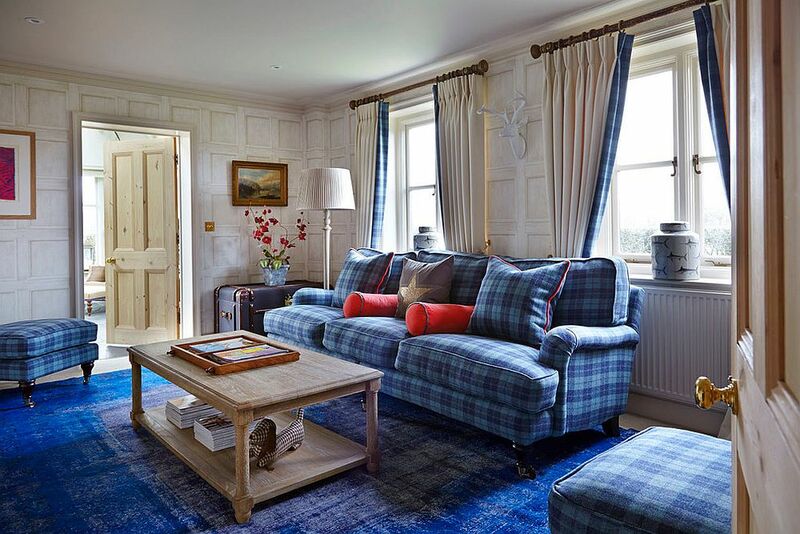 Modernity might have put an end to the plaid wallpaper, couch and bedding in the 90’s but plaid curtains have survived even this ‘neutral period’ with plenty of pomp. 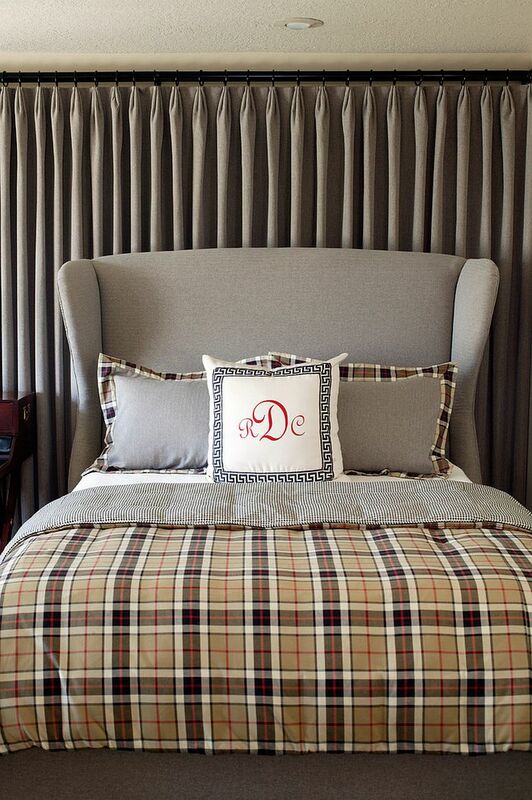 They are a staple of the country chic style and once the Holiday season rolls in, plaid drapes seem even more magical! 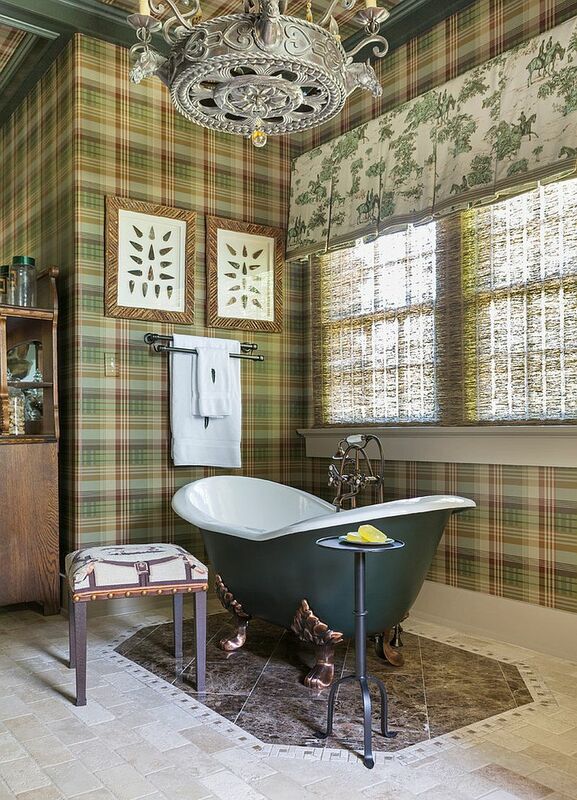 Not sure if you want to commit to plaid in a grand fashion? 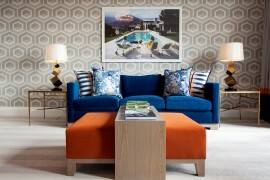 We understand your trepidation and as always, we suggest you start small while embracing this currently hip trend. 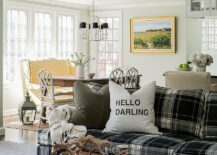 A plaid table runner, a fabulous tablecloth that also serves well outdoors, plaid bedding or even those fab accent pillows with plaid covers – first embrace the pattern in a limited fashion before thinking about wallpaper, sofas or drapes in plaid!